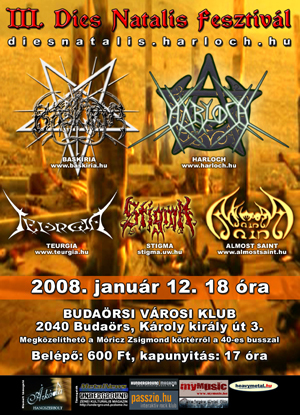 Fellépők: Athame, Harloch, Wrath of Azazel. 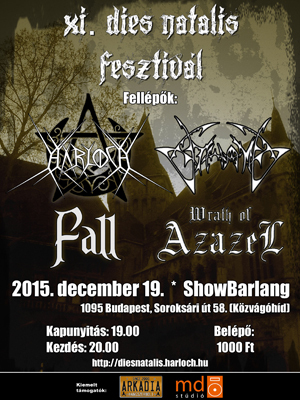 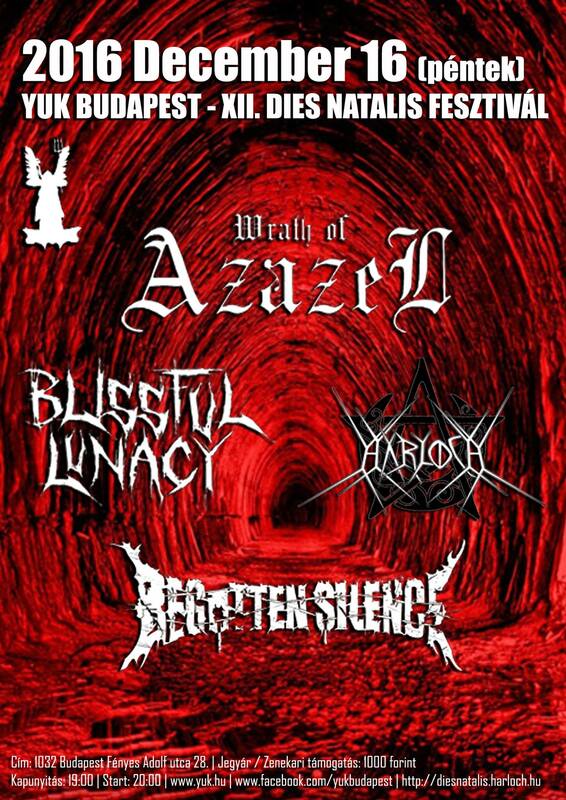 Fellépők: Wrath of Azazel, Harloch, Frost, From the Mirror. 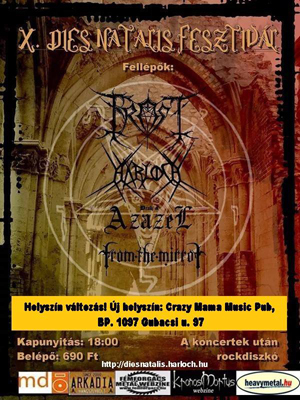 Fellépők: Esbat, From The Mirror It Crawls Out, Harloch. 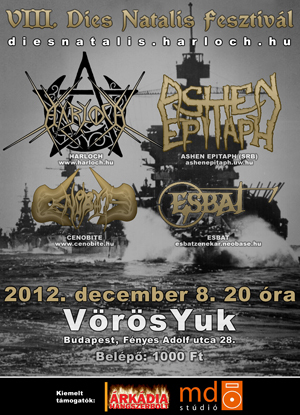 Fellépők: Cenobite, Harloch, Ashen Epitaph, Esbat. 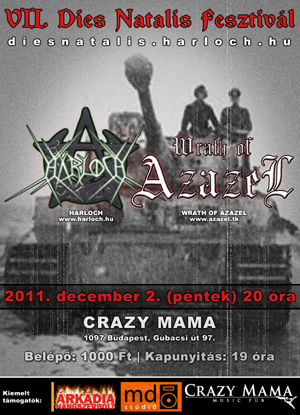 Fellépők: Wrath of Azazel, Harloch. 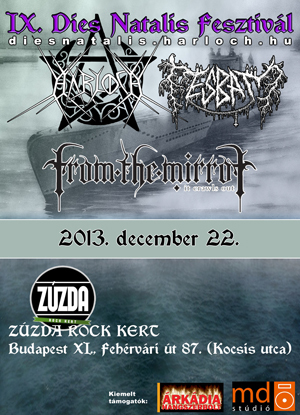 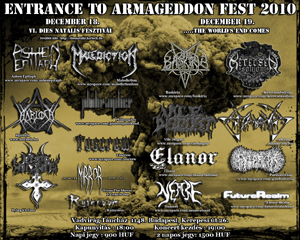 Fellépők: Rainroom, Dying Victims, Harloch, Ashen Epitaph, Malediction, From the Mirror it Crawls Out, Toscrew, Esbat. 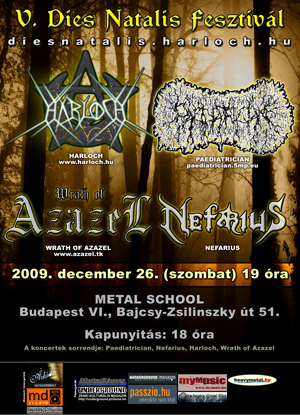 Fellépők: Wrath of Azazel, Harloch, Nefarius, Paediatrician. 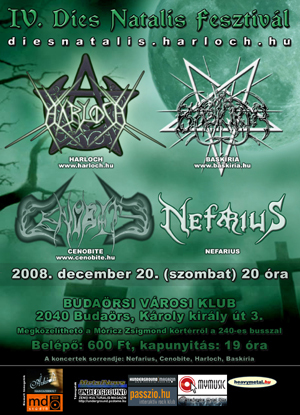 Fellépők: Baskíria, Harloch, Cenobite, Nefarius. 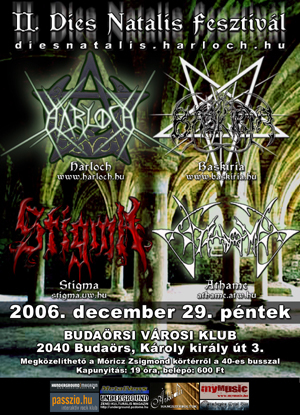 Fellépők: Baskíria, Harloch, Teurgia, Stigma, Almost Saint. 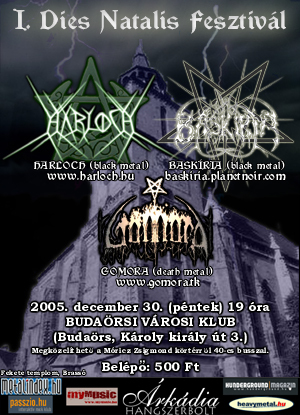 Fellépők: Harloch, Athame, Baskíria, Stigma.